President Barack Obama and Vice President Joe Biden enjoyed a storybook friendship. In 2017 Obama tweeted: Happy Birthday to @JoeBiden my brother and the best vice president anybody could have. Obama even presented Joe with the Medal of Freedom. They were best buds, they golfed, jogged and attended basketball games together. During Obama`s tenure the most popular political meme was of Obama and Joe doing goofy things together. The truth is that the Obama/Biden bromance was as fake as Donald Trump`s tan. Their friendship was phony from the start, Obama didn`t choose Biden as his running mate because they were simpatico, or because their policies were in alignment. As the first black presidential nominee of a major party Obama felt compelled to select a white elderly establishment vice president. The true test of a friendship between a president and his vice president is how they relate to each other when they`re no longer in office. It`s noteworthy that Obama wants nothing to do with creepy Uncle Joe, they never socialize together and I doubt that he even returns Joe`s calls. 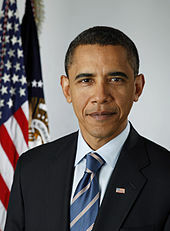 It`s interesting that in the 2016 presidential election, Obama didn`t publicly urge Biden to run against Hillary, and this time around not only has he failed to endorse Biden, but he`s failed to defend him from the accusations that he touches women and underage girls inappropriately. Why is the media ignoring the fact that most of the females that Biden groped were underage girls? If it`s difficult for a grown woman to tell a powerful creep like Biden to back off when he invades her space and gropes her, it`s impossible for an innocent child to avoid an adult pervert`s unwanted hugs and kisses. I`m not talking about alleged cases of groping, C-SPAN cameras captured dozens of real instances when Biden fondled, groped and otherwise molested young girls. But you won`t find one video or photograph of Biden groping Obama`s daughters, Obama would have beat him to a bloody pulp. Obama is no longer pretending that Biden is just a harmless goof with a penchant for being too handsy, and neither should we. It`s incumbent on us, especially Democrats, to call out Biden for being a serial molester of innocent underage girls. Lucy Flores Incident Isn’t an Aberration! Joe Biden Has Groped Dozens of Women and Underage Girls! 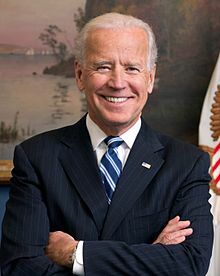 Joe Biden leads all of the polls by virtue of his name recognition, and it helps that he hasn`t uttered a word as an official candidate. But as soon as he announces that he`s running his ratings will plummet — his gaffes will inevitably derail his candidacy. Biden has often been compared to Hamlet for his indecisiveness, but he possesses none of the eloquence of Shakespeare`s protagonist. He is a bungling idiot whose foot invariably finds itself in his mouth, and whose hands invariably find themselves groping women and underage girls. Biden has teased and toyed with the idea of running for president, seemingly forever. He`s talked about how close he is getting to making a decision, last I heard he was 95 percent certain of entering the fray. His supporters, donors and political operatives are desperately waiting for him to declare his candidacy. But still nothing. Biden must be at home fiddling with his Camaro or diddling a young niece or great granddaughter. While Biden is doing his Hamlet “to be or not to be act” his political career as a serial groper is crashing down on him. Lucy Flores alleges that at a campaign even in 2014, when she was running for lieutenant governor, Biden accosted her from behind. The creep inhaled her hair, and planted a big sloppy kiss on the back of her head. The Flores incident isn`t an aberration, Biden is a serial groper and there are dozens of women, and more disturbingly, underage girls that he has groped and otherwise sexually assaulted in his decades long career as a politician. I`m hoping and praying that the #metoo movement will destroy his candidacy before it gets off the ground. A 2020 face-off between serial sexual predator Donald Trump and serial molester of young girls Joe Biden will mean the end of our democracy. Joe Biden is the Creepy Uncle of the Democratic Party! Almost every family has a creepy uncle whose presence we tolerate only on Thanksgiving and Christmas. In order to keep the family peace and appease grandma and grandpa the creepy uncle is invited to holiday dinners, but we make sure he`s never alone with any of the children. Y`all know what I`m talking about, this cretin doesn`t understand the concept of personal space, and he makes us feel dirty and violated by his mere presence. The safety and well-being of our children should take precedence over family dynamics and the proverbial creepy uncle should always be treated as persona non grata. Why should we care about the feelings of this touchy-feely psycopath when he demonstrates no empathy for the nieces that he hugs and little bit too closely and the toddlers and young children that he plays with a little bit too exuberantly? In this “#metoo” era we should have zero tolerance for the creepy uncle who always ruins our holidays. Joe Biden is the creepy uncle of the Democratic Party, it`s an open secret that he never misses an opportunity to kiss a young girl. Do a Google Image search of “Joe Biden kissing” and you will see multitudes of images of him getting uncomfortably close with women and especially underage girls. Biden`s enablers will protest that that`s just “Joe being Joe,” but there should be no room in the Democratic Party for a man who has a suspect attraction to young girls. How can we condemn Trump`s predatory sexual behavior if we turn a blind eye to Biden`s creepiness bordering on child molestation? Of the nine candidates officially running in the Democratic presidential primary, only one is a heterosexual white man. The man who sticks out like a sore thumb in the diverse field of minority and female presidential hopefuls is former Rep. John Delaney. Delaney is as bland and boring as a soggy slice of white bread, and he has zero name recognition outside of his immediate family. Delaney is such a nonentity that he has only four thousand more Twitter followers than this humble blogger. You might be wondering “where are all the Democratic white male politicians with presidential ambitions”? They are testing the waters, they are either too timid to run, or perhaps they sense that in this election cycle there is no room for them. The most famous of the Democratic white male politicians who still haven`t declare their candidacy are the three B`s: Beto, Bernie and Biden. Let`s address the two septuagenarians first: Sen. Bernie Sanders gave Hillary Clinton a run for her money in 2016, but he isn`t a novelty anymore. Almost all of the Democratic candidates have embraced his socialist agenda, and he can`t compete with charismatic liberals like Sen. Kamala Harris and Sen. Cory Booker. Sanders is just a cranky old codger now, propped up by a band of misogynist bros.
Then there`s the former vice president, Joe Biden, but he`s too old, too moderate, too gaffe-prone, and too enamored of little girls. The third time won`t be the charm for this old reprobate, unlike Donald Trump he`s not Teflon-coated, and his campaign would sink before it has a chance to take off. Former Rep. Beto O`Rourke is the only one with a chance of overcoming the disadvantage of being a heterosexual white male, he`s young, charismatic and liberal. My advice for Biden is to retire and spend the rest of his days watching the little girls play in the playground, under the supervision of an adult. I would counsel Sanders to atone for the rampant misogyny in his 2016 presidential campaign by remaining in the Senate, and volunteering for women`s rights organizations. The new Democratic Party is progressive to the core, all of the Democratic presidential hopefuls have embraced the progressive agenda including Medicare for All and even the pie-in-the-sky Green New Deal. There are no self-styled moderates in the 2020 Democratic presidential field, even the quintessential moderate, Amy Klobuchar, has adopted the progressive label. If you believe Klobuchar is a progressive, then you probably also believe that she`s the most pleasant boss in the Senate. 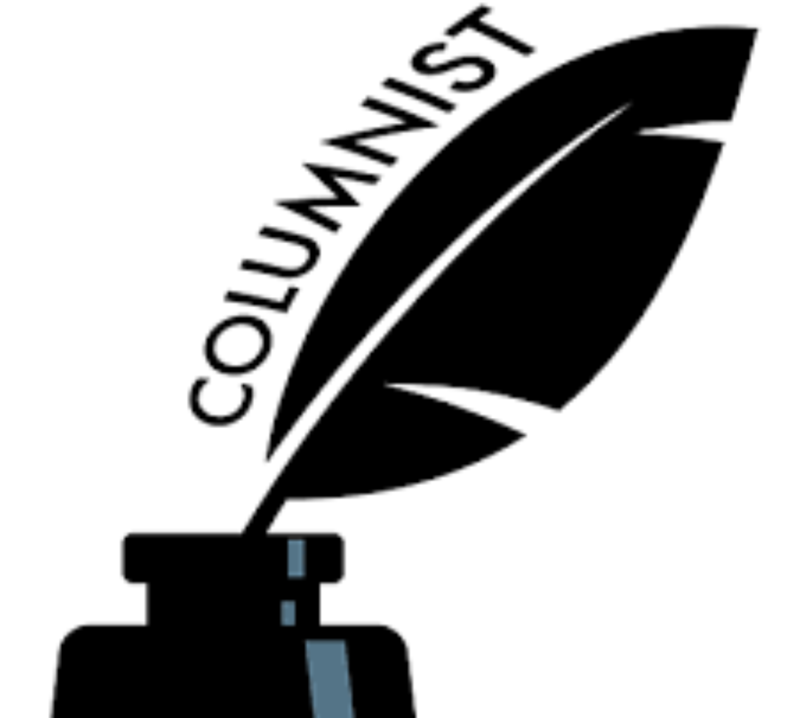 The damnable lie that only a moderate Democratic presidential candidate can win in the general election died with Hillary Clinton`s disastrous defeat. Only a bona fide progressive the likes of a Kamala Harris or a Beto O`Rourke can defeat a populist buffoon like Donald Trump. This is no time for half-measures, it`s incumbent upon the liberal electorate to quickly weed out poseurs and pretenders like Klobuchar. The 2020 presidential race is like a NASCAR race, the Democratic contenders can only turn left, if they veer to the right they will crash and burn. Joe Biden is the Great White Hope of Democratic moderates, the terminally indecisive Biden has yet to announce he`s running, and hopefully he won`t enter the race. If Biden does declare his candidacy it`s doomed from the start, he`s too old, too white, too moderate, and he has too much of a liking for prebuscent girls. He would only succeed in drawing away financial resources and media attention away from the eventual winner. Hopefully Biden will enjoy the 2020 presidential race from the grandstand, he doesn`t` have the stamina or the proper progressive mindset to be a credible contender. In reaction to the Neanderthal conservative policies of the Trump administration the Democratic Party has embraced progressive ideas (Medicare for all, the legalization of marijuana, the Green New Deal, free college tuition and punitive tax rates on millionaires) that are anathema to a moderate bipartisan consensus builder like Joe Biden. This isn`t your fathers` Democratic Party, and there is no room for the likes of septuagenarian Biden, certainly not as a presidential candidate. Sen. Cory Booker: African American and closeted gay? Pete Buttigieg: openly gay veteran. Sen. Elizabeth Warren: White and .00000000000000000000000000000000000000000000001 percent Cherokee. Sen. Kamala D. Harris: father Jamaican and mother Indian. Beto O`Rourke: White, but young and energetic, and at least he has an Hispanic nickname. 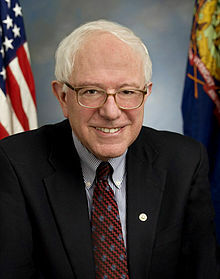 Sen. Bernie Sanders: White as can be, damn even his hair is snow white, but he`s a Democratic Socialist. Sen. Amy Klobuchar: as moderate as Biden, but at least she`s a female. Andrew Yang: Don`t know anything about him other than he`s Asian. Where does Biden fit in this field of Democratic candidates for president? He doesn`t. Period. End of story! Let me give you an example of how out-of-touch Biden is, in a speech this week before the Unites States Conference of Mayors he referenced Adlai freaking Stevenson. There`s not a millennial alive who knows Jack about Stevenson. Unless Biden comes out as gay or transgender he doesn`t have a prayer.